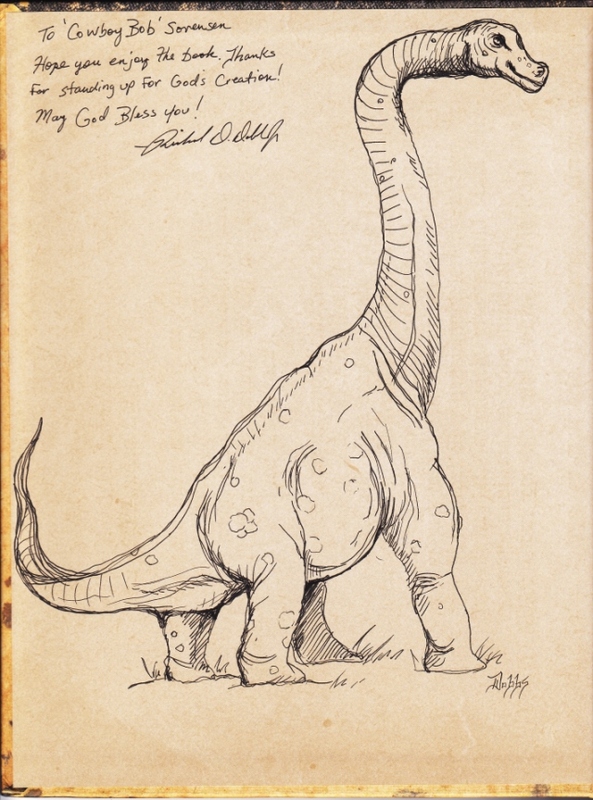 Having been a follower of the Chronicles of Dinosauria Facebook Page for a few weeks, I was increasingly interested in getting a copy of the book, despite my huge backlog of reading material. So I inquired about the possibility of buying an autographed copy. Richard Dobbs, the illustrator, sent me a copy and the request that I write an honest opinion of the book. 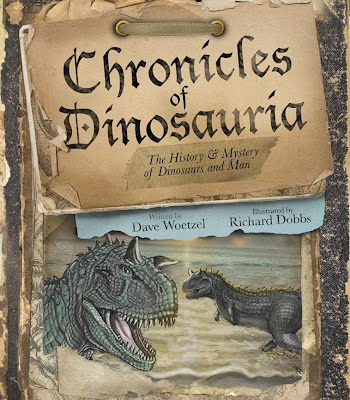 So, there's the history and a disclosure: I was given Chronicles of Dinosauria: The History & Mystery of Dinosaurs and Man without charge for review purposes, and I am not expected to write a positive review. My honest opinion is that this book is definitely worth owning! I'll start with the layout. This is not a huge volume, and I was easily able to read it in one day. (And look forward to reading it again.) Author Dave Woetzel describes the book as a "scrapbook", and it does have a scrapbook appearance to it. There is nothing boring in the page design, and the illustrations by Richard Dobbs show his talent in many ways, from simpler drawings to extremely colorful illustrations. Some pages have illustrations in a more standard format, and others look like they are attached by paper clips or adhesive tape, but I resisted the urge to pick at the "tape" or straighten the "paper clips". These enhanced the book instead of proving to be a distraction. Also included are photographs of historical figures, artifacts and more. I am glad I did not buy it for my greyscale e-book reader. Excellent. Chronicles of Dinosauria is very readable, and serves as an excellent overview to pique a reader's interest in doing further research on the subject, perhaps beginning at Genesis Park. The book is biblical in outlook, and has the premise is that dinosaurs and man did indeed exist at the same time. Although Dave uses the Bible to help make his case, there is much more. In fact, he traveled as part of his research. To simply parrot the idea that "dinosaurs have been extinct for millions of years" displays ignorance of the abundant historical relics and accounts that say otherwise. On this site and others are the scientific evidences for the recent existence of dinosaurs, but never mind about that now. Thanks, Dave and Richard, for a valuable contribution and for all your work! 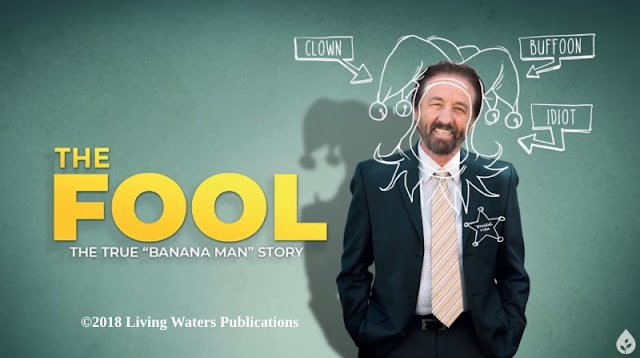 This book is available at the big name Internet sellers (including ChristianBook.com), and I think it's time to start thinking about making purchases for Christmas gifts.